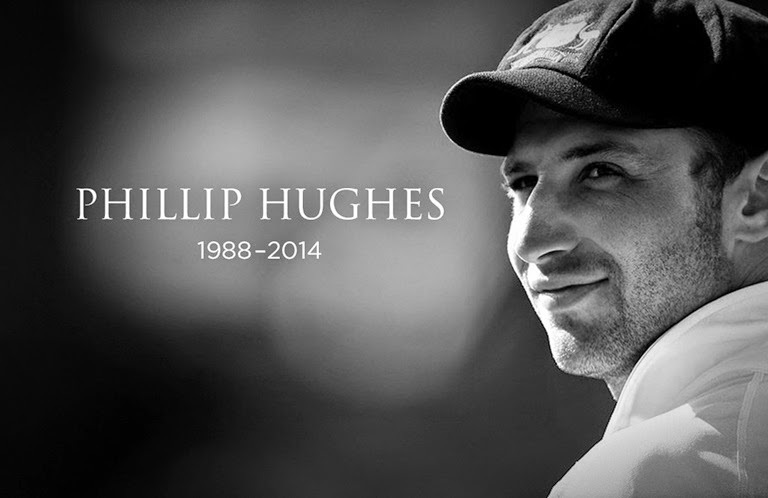 DieHard Cricket Fans: Phil Hughes, R.I.P. A national spot was up for grabs. He was considered as one of the prime contenders. Batting on 63 not out with a national selector watching, he has probably done enough to make it to the XI for the next Test match. A bouncer is bowled. He goes for the hook. He is through with the shot before the ball reaches him and hits him on the back of the neck. And its all over. A sudden and terrible end to a promising career. One moment he was fighting for a Test place and next he was gone. Puts some perspective to life when something as mundane as a ball delivered in a first class match turns fatal. Thoughts with entire Hughes family. And hoping Sean Abbott copes up with this tragedy. You will stay 63 not out forever.